South Korea fires warning shots at a North Korean drone that flew several hundred yards south of the border between the two countries. The drone turned back into North Korea and was not hit by the warning shots. The troops should be fully battle ready to launch surprise operations while the entire frontline should be placed in a semi-war state. 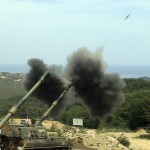 North and South Korea exchange artillery fire across their mutual border. After North Korean soldiers fire several shots at a military loudspeaker that speaks in high voice against Pyongyang, South Korean troops return ‘dozens of shells” to the suspected source. No casualties are reported. North Korea later warns Seoul in a letter that it will take military action if the South did not stop the loudspeaker broadcasts within 48 hours. In a separate letter, Pyongyang says it is willing to offer an opening to resolve the conflict even though it considers the broadcasts a declaration of war. State news agency, KCNA, announces that North Korea will set its clocks back by 30 minutes to ‘Pyongyang time’ on August 15–the 70th anniversary of liberation from Japan. That will reset the time to GMT+08:30, as it was before Japanese colonization. The wicked Japanese imperialists committed such unpardonable crimes as depriving Korea of even its standard time while mercilessly trampling down its land with 5,000 year-long history and culture and pursuing the unheard-of policy of obliterating the Korean nation. Come here right now, with all the 535 members of the House of Representatives and the Senate as well as the imbecile secretaries and deputy secretaries of the government who have made their voices hoarse screaming for new sanctions. They can behold the awe-inspiring sight of the Pyongyang Bio-technical Institute. [North Korea] now possesses a world-level strategic weapon capable of striking and wiping out in any waters the hostile forces infringing upon [North Korea’s] sovereignty and dignity. 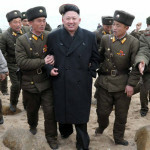 Kim claims to have climbed North Korea’s Mt. 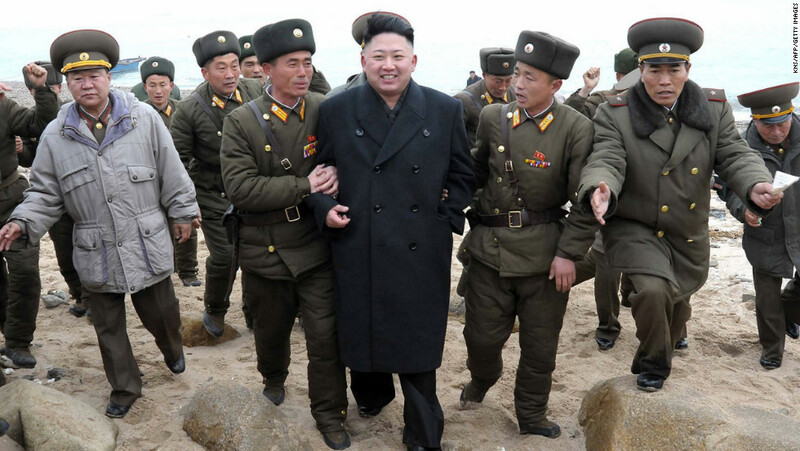 Paektu in time to watch the sunrise with a group of fighter pilots accompanying him. Mt. Paektu is the country’s highest peak at 9,022 feet. When one climbs snow stormy Mt. Paektu and undergoes the blizzards over it, one can experiences its real spirit and harden the resolution to accomplish the Korean revolution. We take seriously North Korea’s attack that aimed to create destructive financial effects on a U.S. company and to threaten artists and other individuals with the goal of restricting their right to free expression. Today’s actions are the first aspect of our response. (Obama) is the chief culprit who forced the Sony Pictures Entertainment to indiscriminately distribute the movie, blackmailing cinemas in the US. Obama always goes reckless in words and deeds like a monkey in a tropical forest. I haven’t seen such a steady beat of routing instability and outages in [North Korea] before. Usually there are isolated blips, not continuous connectivity problems. I wouldn’t be surprised if they are absorbing some sort of attack presently. We propose to conduct a joint investigation with the U.S. in response to groundless slander being perpetrated by the U.S. by mobilizing public opinion. If the U.S. refuses to accept our proposal for a joint investigation and continues to talk about some kind of response by dragging us into the case, it must remember there will be grave consequences. We have found linkage to the North Korean government. Can likely build missile to reach U.S. Personally I think that they certainly have had the expertise in the past. They’ve had the right connections, and so I believe they have the capability to have miniaturized a device at this point, and they have the technology to potentially actually deliver what they say they have. We have not seen it tested. And I don’t think as a commander we can afford the luxury of believing perhaps they haven’t gotten there. A top North Korean military official threatens a nuclear strike on the White House and Pentagon for what he claims is the United State’s continued meddling in military affairs on the Korean Peninsula. If the US imperialists threaten our sovereignty and survival… our troops will fire our nuclear-armed rockets at the White House and the Pentagon. 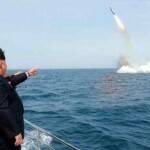 According to South Korean officials, North Korea fires two missiles into the sea. A South Korean Joint Chiefs of Staff official says the projectiles were fired from the North Korean city of Kaesong near the border with the South, and he claims the missiles had a range of about 311 miles. 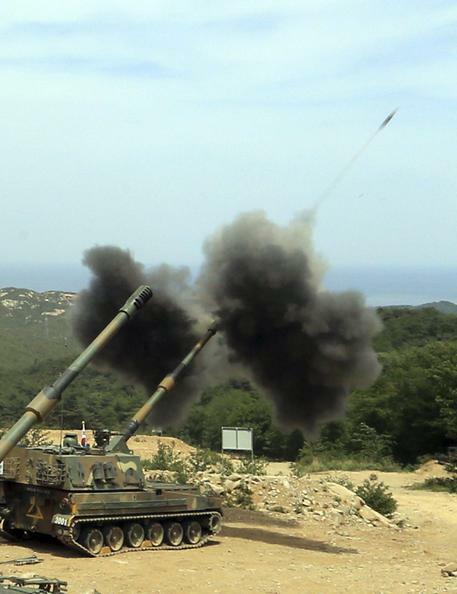 South Korea says the most recent missile firings are the latest in a series of firings seen to be an expression of anger over its failure to win talks on receiving outside aid, and over ongoing U.S.-South Korean military drills.